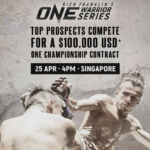 Manila is in for another spectacular night of the world’s most exciting martial arts action on Friday, 12 April, when ONE Championship returns to the Mall of Asia Arena with ONE: ROOTS OF HONOR! Headlining the event is a World Title matchup between spectacular strikers, as ONE Featherweight World Champion Martin Nguyen defends his belt against former titleholder Narantungalag Jadambaa. Can the veteran Jadambaa reclaim his belt with another vintage performance, or will Nguyen cement his hold on the belt by defeating the iconic Mongolian? The world will be watching to find out. The co-main event is just as enticing, with Filipino phenom Joshua Pacio challenging ONE Strawweight World Champion Yosuke Saruta in an epic rematch. 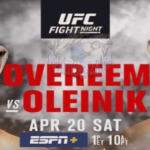 Their first bout ended in a split decision after a close five-round thriller, so look for both men to give their all in order to claim a definitive win.